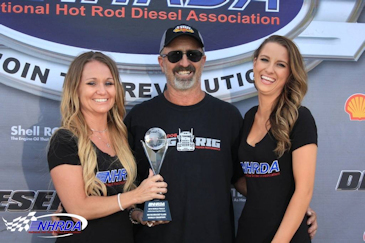 The NHRDA World Finals are always a great event for fans and competitors as all the big hitters roll into the Texas Motorplex for the biggest race on the NHRDA schedule. Disher had been battling it out all season in two classes but he was able to get a nice lead in the points standings in Hot Rod Semi class and was just looking to finally securing the National Championship. Disher made it to the final round but broke before he could face off with Gord Cooper of Calgary, Alberta. The runner-up finish clinched the Hot Rod Semi National Championship for Disher and his team.